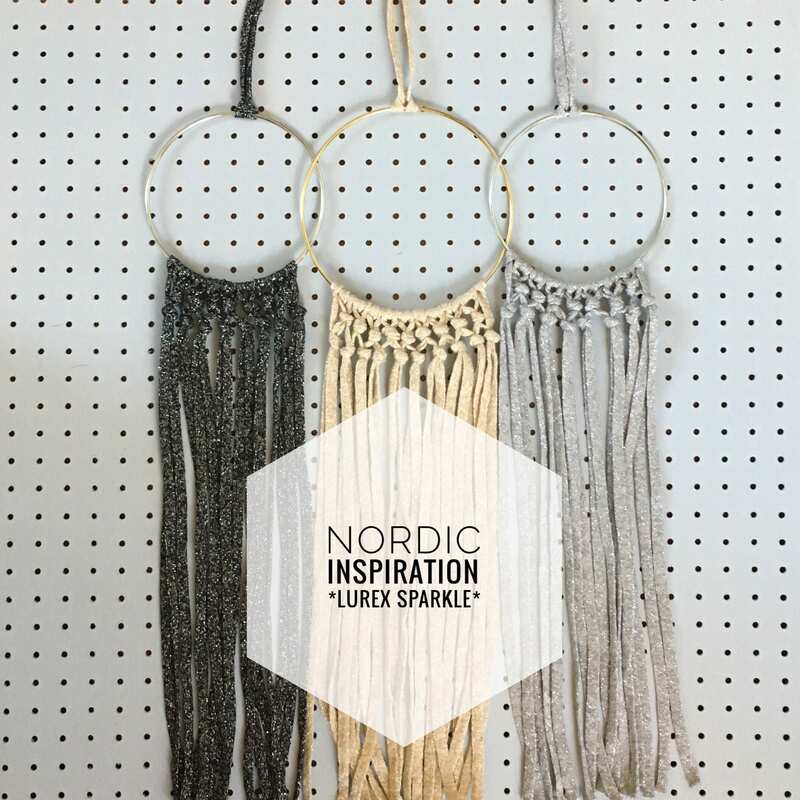 Simple, beautiful Nordic style wall hanging. 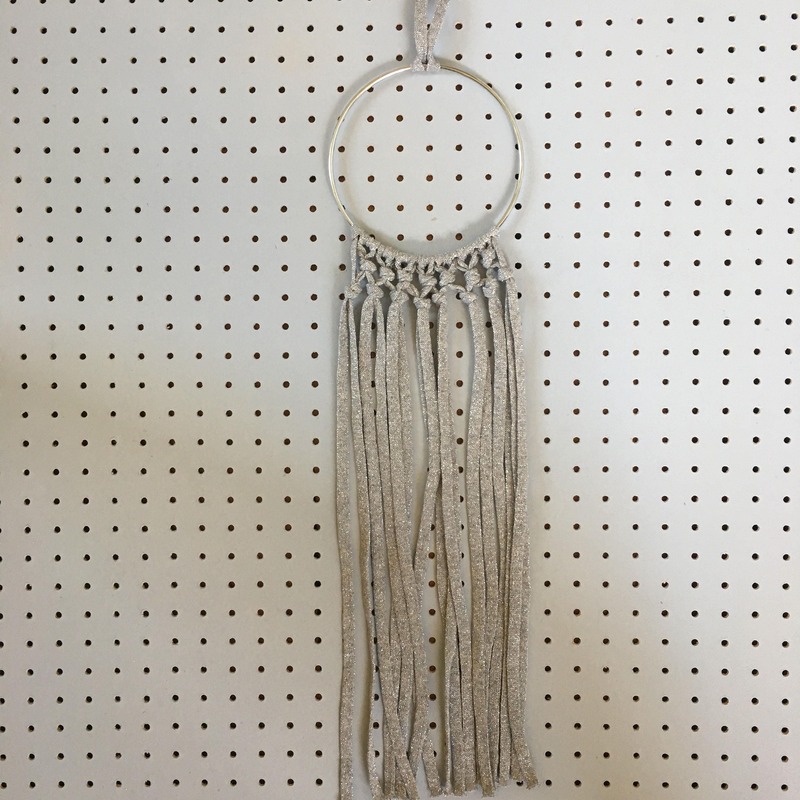 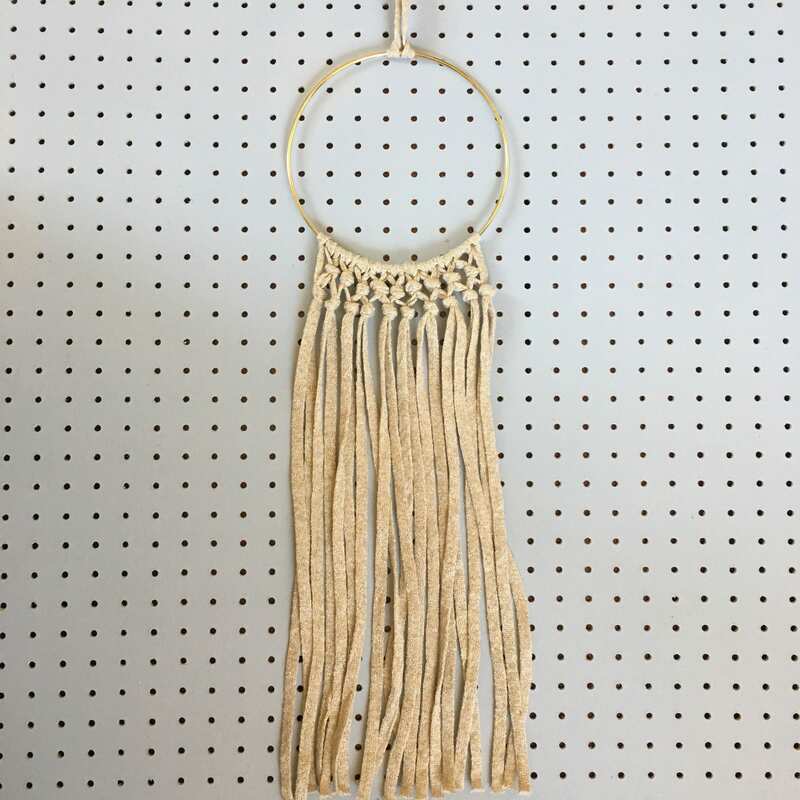 Perfect for creating a minimalist look in your home or office, the soft tones of this wall hangings will easily compliment your style, whilst adding that bit of extra sparkle. 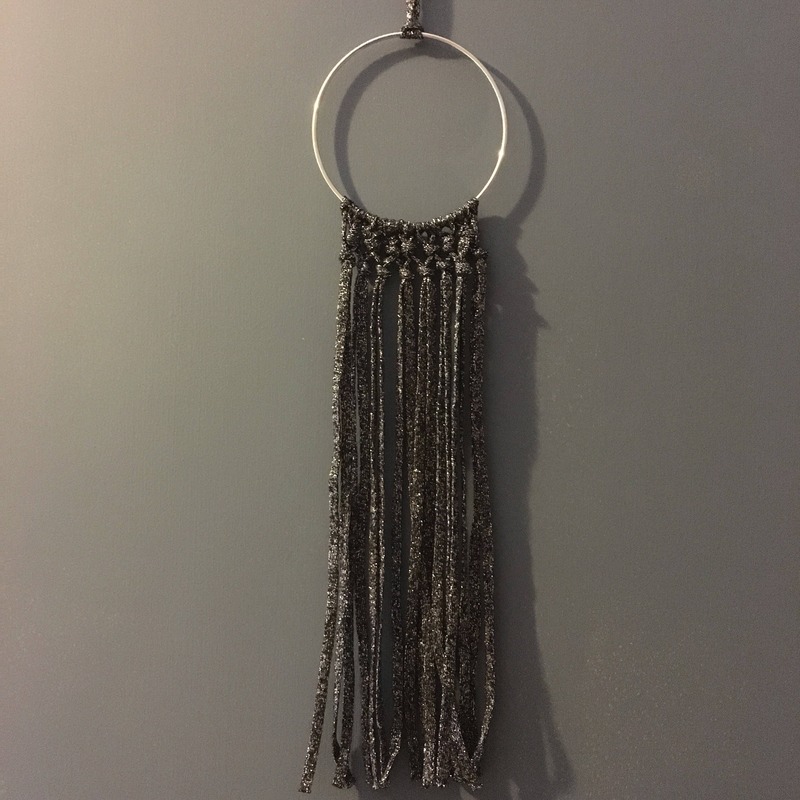 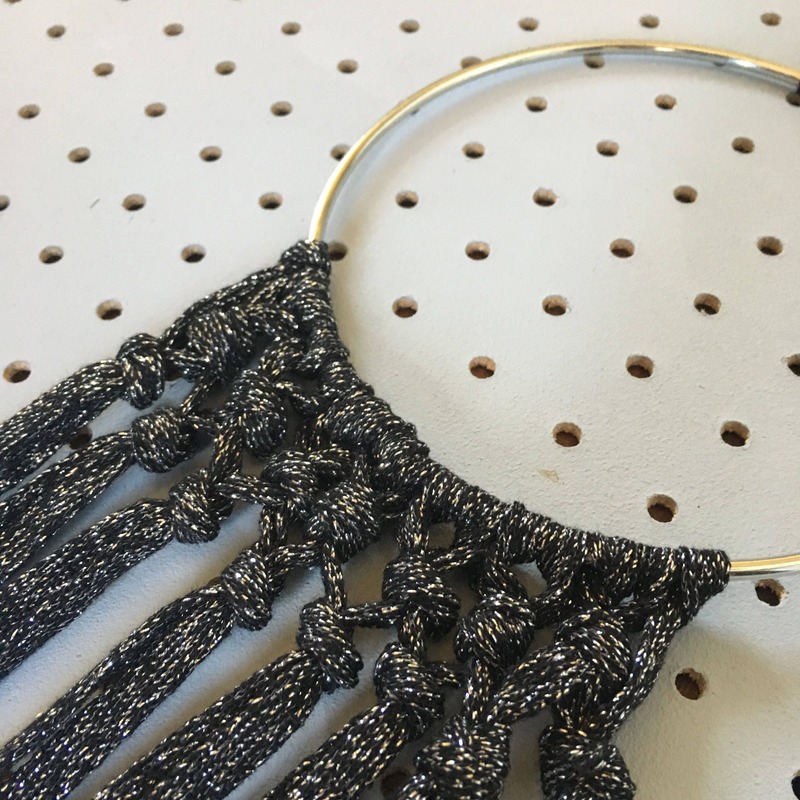 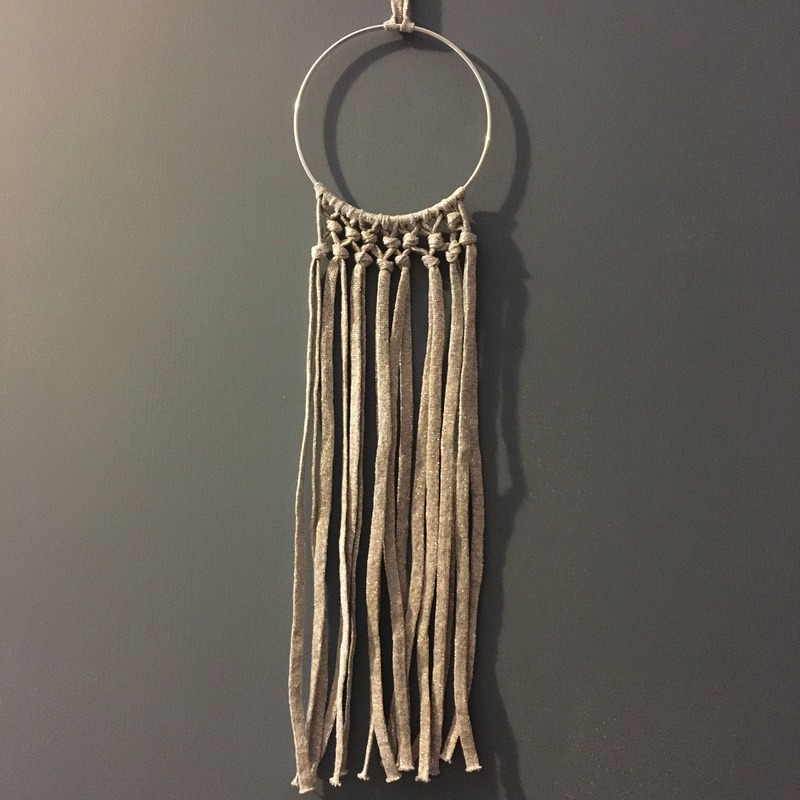 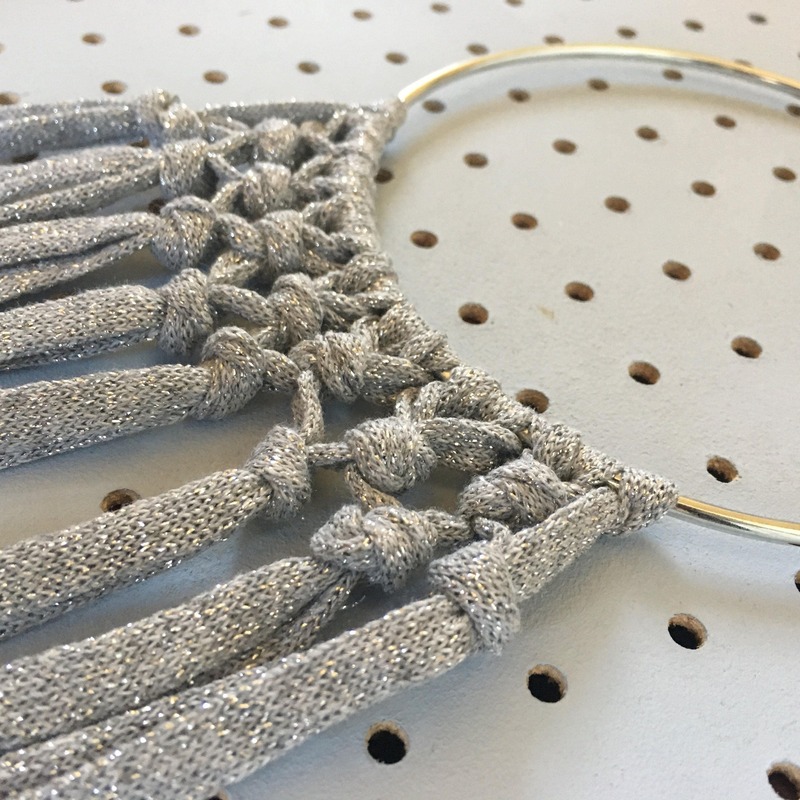 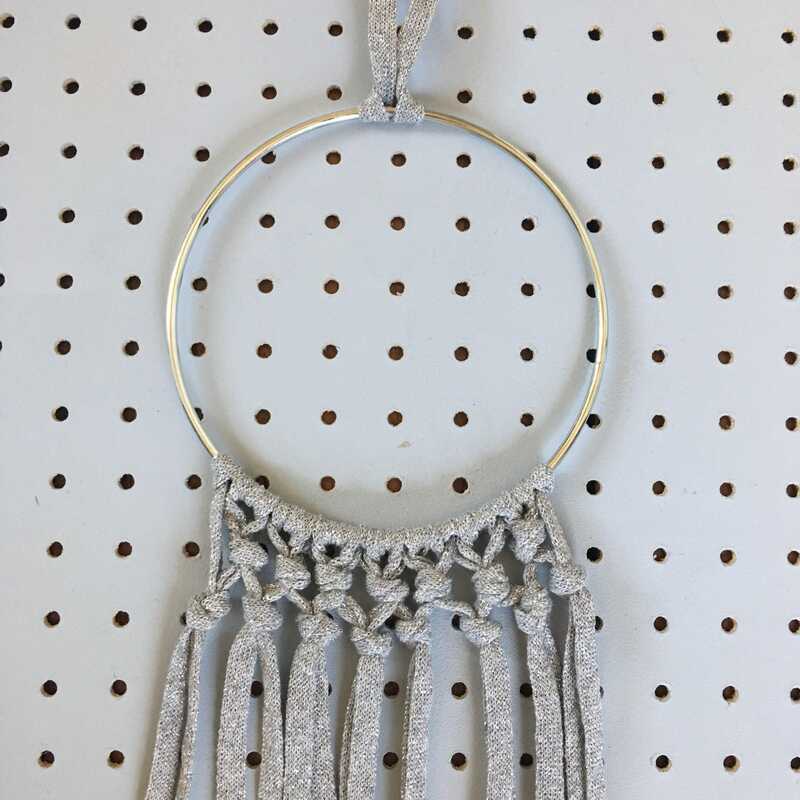 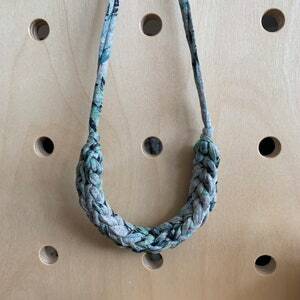 Handmade using recycled cotton (80%) and Lurex mix fabric yarn in Silver grey or Black with silver on a 5 inch silver coloured metal hoop, and Gold on a gold tone 6 inch hoop, with fabric hanging loop at the top. 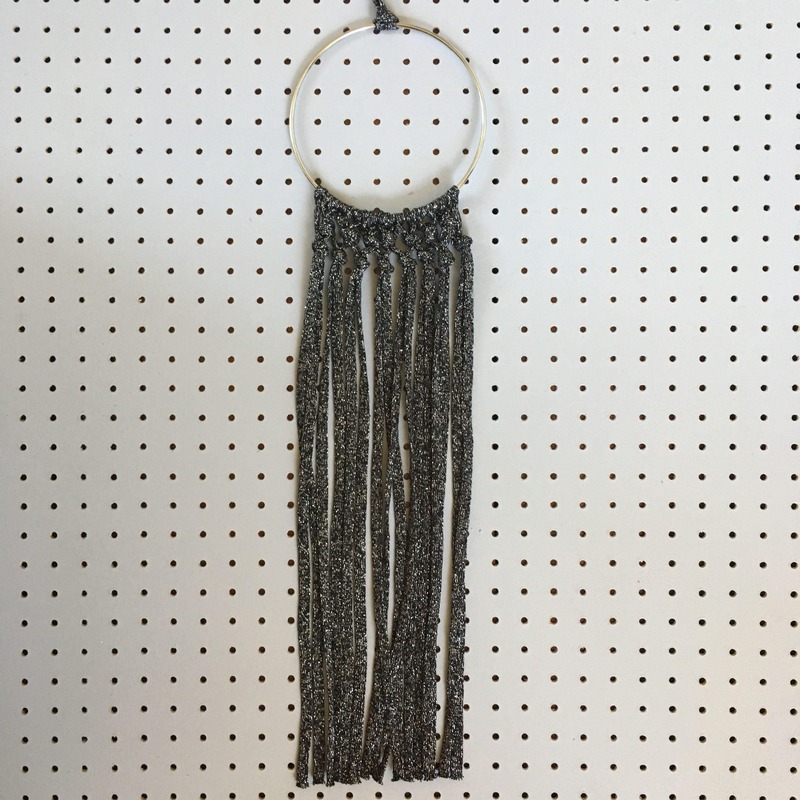 Total hanging length is approximately 22 inches. 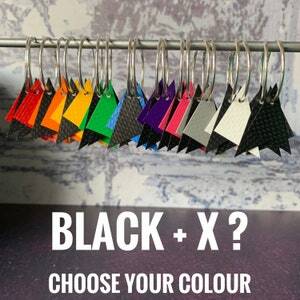 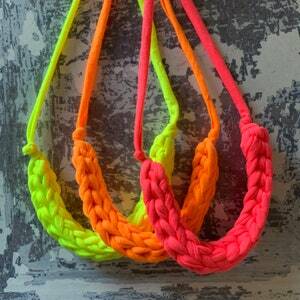 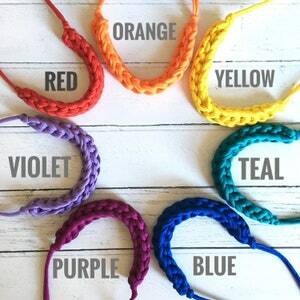 I can also make to order in a wide range of colours using upcycled Tshirt yarn, just Convo me for details! 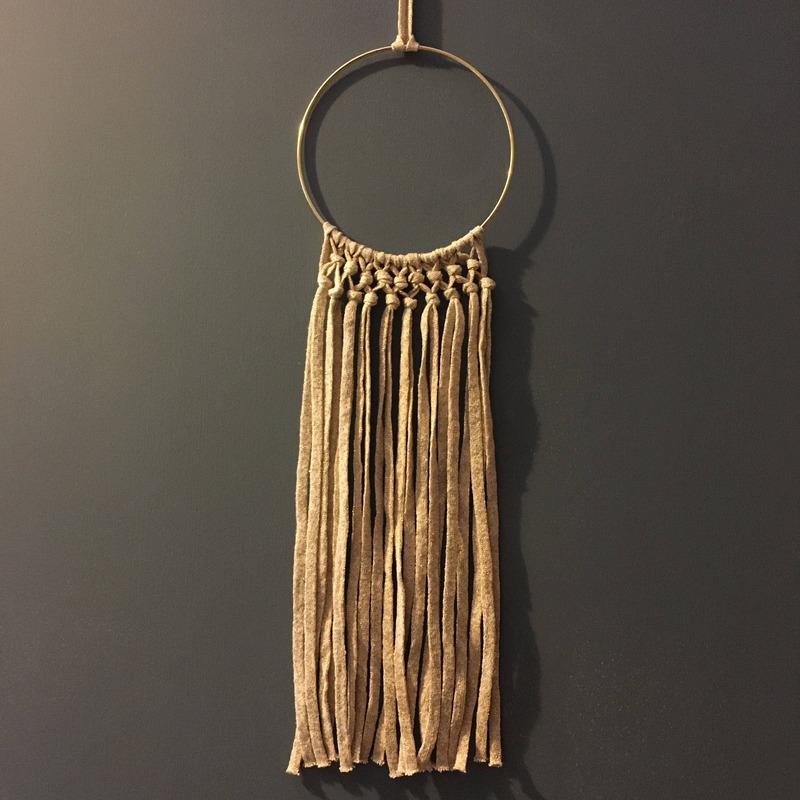 Very simplistic look and great to tie a room together!